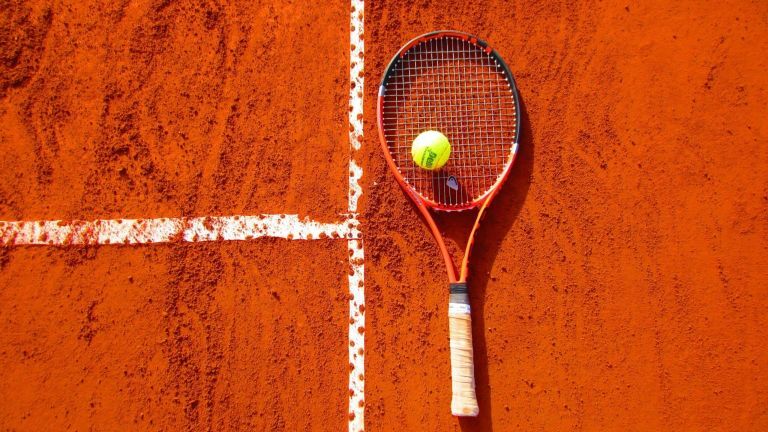 The type of tennis ball that you go for will make a difference to your game play, although we can’t promise a simple change from non-pressurised to pressurised will turn you into the next Roger Federer or Serena Williams. What you construe as the best tennis ball for you will depend on the level of tennis you play and the kind of surface you play on. League and pro level tennis players tend to play with pressurised tennis balls like the Dunlop Fort TS. These balls offer up more bounce, speed and spin compared to non-pressurised balls, which rely on their rubber casing for bounce. Beginners and those looking for a good set of balls to practice with are perfectly fine with non-pressurised balls, and it’s handy to know that non-pressurised balls actually become bouncier with age, whereas the tournament level pressurised balls lose their bounce, therefore requiring a quicker turnaround and a larger payout over time. A versatile ball for league matches, these balls provide the right level of bounce and firmness for clean, well travelled shots. With a durable rubber inner and a hard-wearing Fluoro-Cloth felt outer, these tennis balls should withstand the trials of outside play, with the water-repellent technology ensuring surface water doesn’t change the composition of the ball. Slazenger are neck and neck with Dunlop when it comes to producing the highest quality tennis balls. These ones are used by the pros in the top tennis tournaments, thanks to their pressurised centre, ultra-vis dye for visibility and the woven cloth incorporating the hydroguard technology, which prevents the ball from absorbing any surface water. With Slazenger saying they’re suitable for all surfaces, both indoor and outdoor players should take notice. They may not be pressured but if you’re looking for good set of balls to practice with on the outside courts, you can’t go wrong with these ones from Penn. Made from technical grade natural rubber, they offer up superior bounce despite not being pressurised, while the tournament grade felt should keep them in top condition no matter how many times they’re fired out of the machine. Offering up the same premium quality as Slazengers and the Dunlops, these balls from Wilson have been optimised for play on indoor and clay courts. They come with a premium rubber core and durable felt exterior, and coming in cheaper than the other balls on our list, if you’re looking for top quality at a great price, these ones from Wilson are a great choice. As the official supplier for the LSA in 2011, these balls from Babolat have earned themselves some serious kudos points. Thanks to their pressurised inner, they offer the same level of bounce and spin as the more expensive names on the list. While they may not offer the same level of water resistance, the brand’s ‘Extra Feel Felt’ offers durability in practice and tournament games. The Wilson Championship ball is the little brother to the Wilson US Open ball. It’s cheaper, yet it still offers the same level of durability when played on hard surfaces, thanks to the brand’s Duraweave Felt. Because it’s not pressurised, it’ll become bouncier with age, and it’ll last longer than the average pressurised ball, which makes it the ideal practice and championship level ball. Doubling up as practice and tournament balls, these ones from Dunlop are great all-rounders. Thanks to their non-woven needle felt, these balls can be played on all levels on all surfaces, making them ideal for pros looking to practice and championship players looking for a decent tournament ball. The pro level balls on the list take a little control and direction to harness their full potential but these balls have been designed with younger and less experienced players in mind, so they shouldn’t have to work so hard to control the ball. Specially designed for reduced speed, they give younger players that little bit of leeway to develop their technique.